In a horrifying incident, a 7-year-old girl was allegedly abducted, raped and murdered by a 30-year-old man in Uttar Pradesh’s Kannauj. A recent portmortem report revealed that 12 of her bones were broken. The accused has been arrested. The incident took place on April 8, when the girl had left her home to visit a nearby temple around 7.30pm on the same day along with other people from the village, according to India Today. He parents lodged a complaint with the police when the girl did not return home from the temple. The accused was arrested later and he confessed the crime. During interrogation, he told the police that after killing the victim, he threw her body in a river. He also admitted that he was under the influence of alcohol when he abducted, raped and killed her. The accused was taken to the area where he abducted the 7-year-old girl and was made to re-enact the sequence of the events. Investigation is being done by the police. The incident has left the people in horror. This page contains news relating to various facts and events. The views are generally about current affiars and general topics in diversified areas such as political, international, national, and regional issues, sports, health, travel, lifestyle, technology and business. People having similar interets on the above topics will find this page useful. 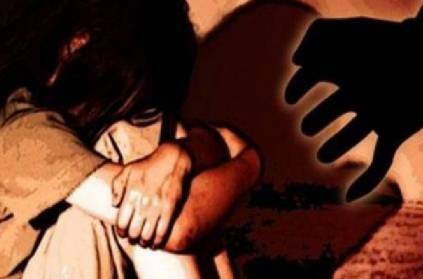 UP 7-year-old girl abducted, raped, killed, found with 12 broken bones | India News.